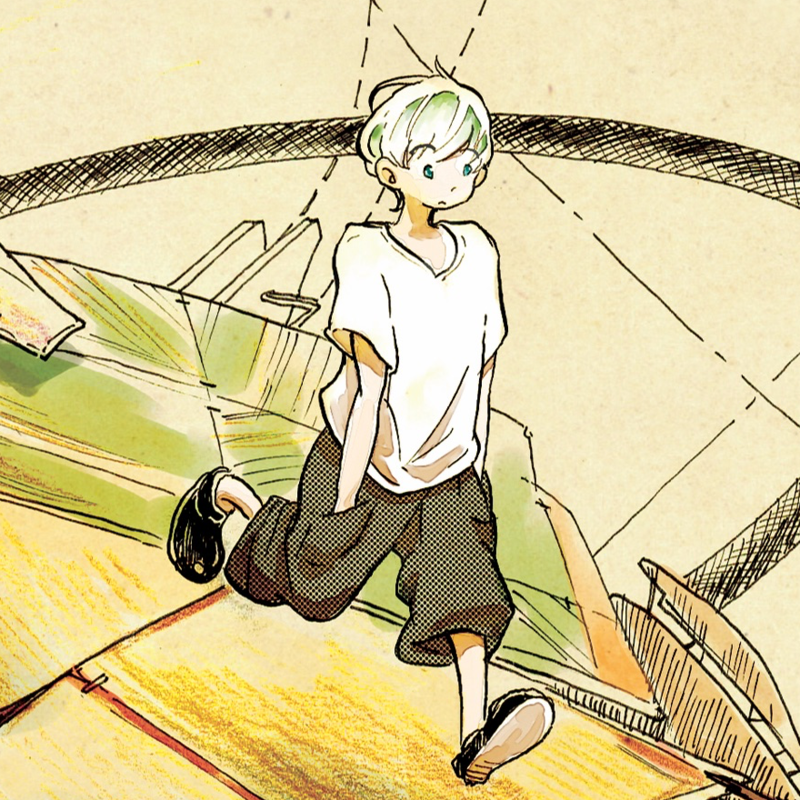 Akira Ashimo is an architectural manga artist who is primarily active in the electronic manga magazine "Jihen." 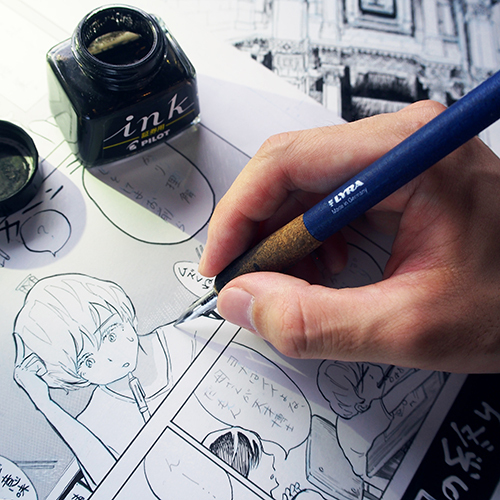 He currently studies architecture while creating his manga works which, as the so-called ninth artform, he creates based on the concepts and values of architecture as the so-called first artform. He is currently in the second year of the Master’s program at the Department of Architecture and Building Engineering at the Tokyo Institute of Technology. He also directs his own book binding brand, Youyoukousya, that compiles works from different genres such as Japanese tanka poems and music, in an exploration of the value of paper books. 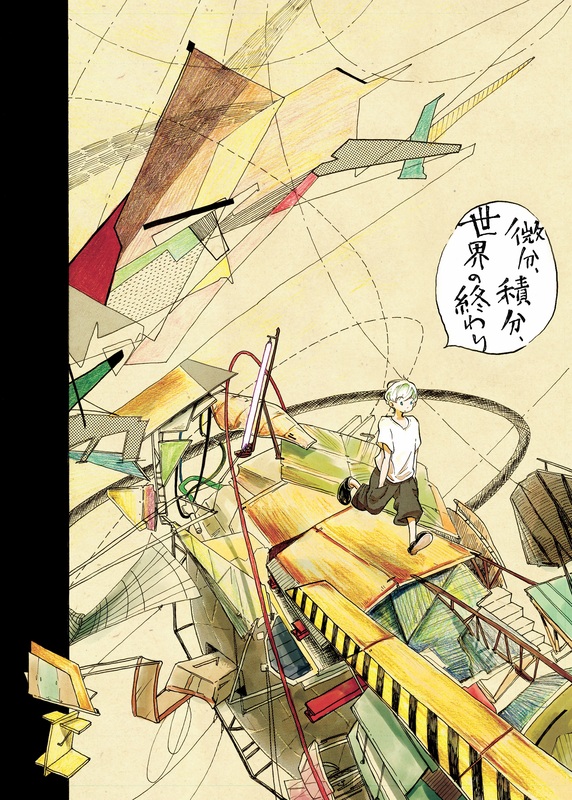 The cover of the one-shot manga Differentiation, Integration, and the End of the World (Bibun, Sekibun, Sekai no Owari), a somewhat strange science fiction work about traveling back and forth between dimensions.